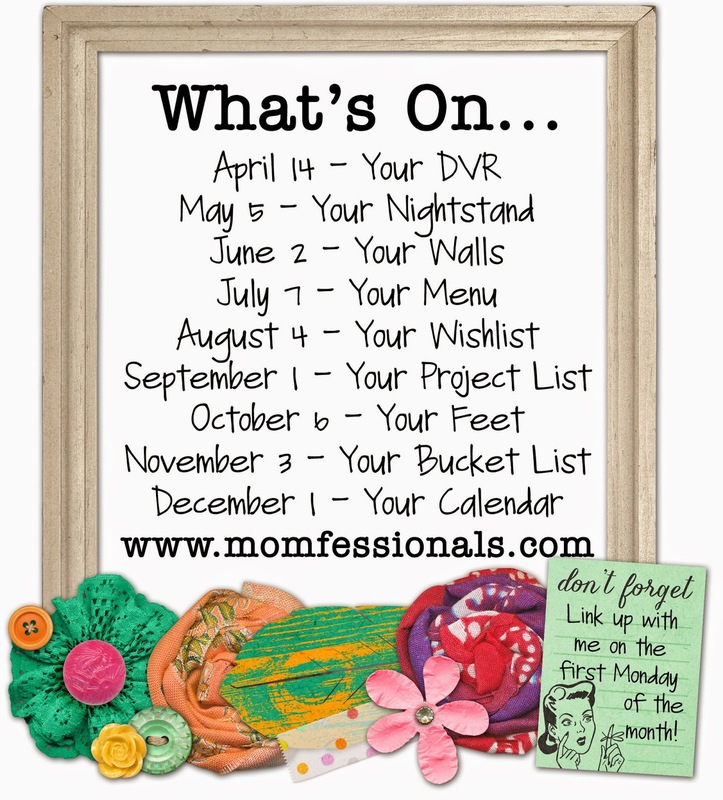 Momfessionals: What's On... Your Feet! I have them in several colors, but the taupe suede is my Fall favorite. They go with EVERYTHING!!! 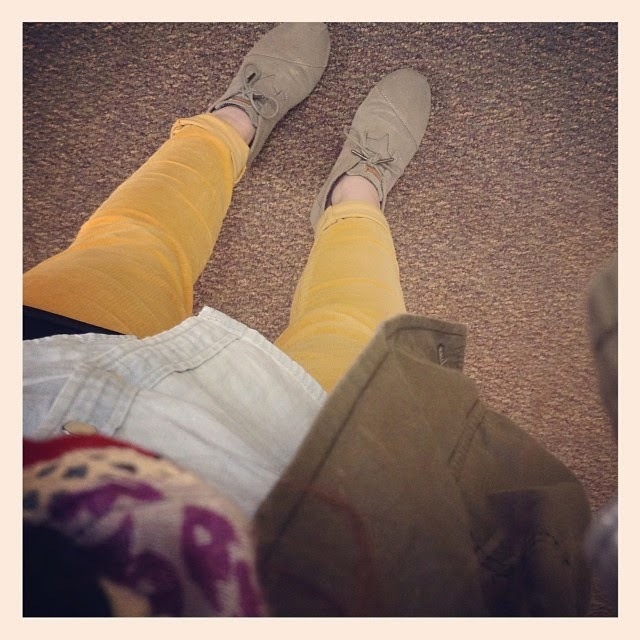 I wear mine with cuffed jeans and cords as well as with tights and dresses. When I saw the new High Wedge Booties I knew I had to try them out. I mean... they have a tassel! :) I ordered them in black and was super excited when they showed up. When I put them on, not so much. I felt like they hit at a weird point on my ankle/leg and I was kind of unsure of how I would wear them. For the price, I decided I was better off keeping a look out for a pair of black wedge booties that I really loved. I LOVE my boots for Fall as well. 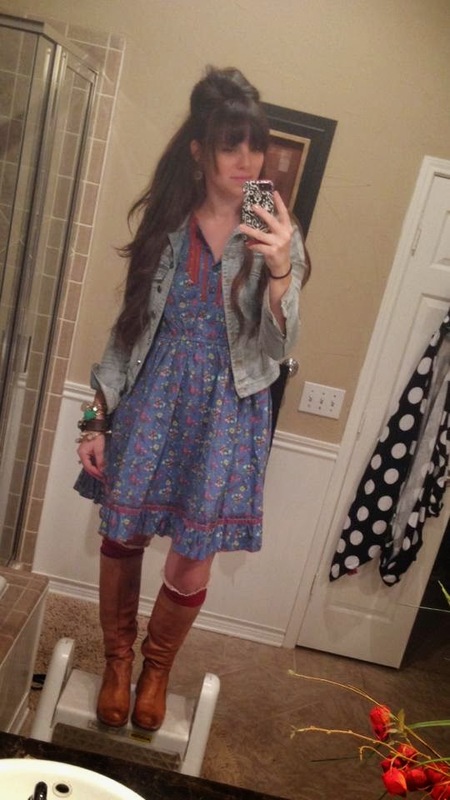 I have two pairs of cowboy boots that I wear ALL THE TIME! This pair by BedStu is a fantastic color and I love love love the distressing. I picked up this pair of riding boots by BedStu a couple of years ago and I think I love them more every time I wear them. The more weathered and worn they get the better. They look great with jeans, leggings or boot socks. This is my pair (but in black) and the pair below is GORGEOUS!!! Cute or crazy? A lot of my stuff can go either way :) I ;ove the color, wedge and knit detail. I'm thinking they'd be awesome with skinnies or tights and dresses. Help!!! When I'm not in a wedge, I LOVE my TOMS Ballet Flats. I have them in a few different colors, but this linen color would be a GREAT neutral for Fall. Also.... I get lots of comments on my boys Natives.... and a few colors are currently on sale at Nordstrom! Red, pink and navy! Scoop some up for your littles! They're the best! So.... what's on your feet??? Are you heels all the time??? Strictly tennis shoes??? Flip flops? I'm curious. Link up and show us what's on your feet! I FINALLY ordered a pair of TOMS booties!! They are scheduled to arrive any day now and I CANT WAIT!!! Every time I see you post a picture of yours, I want them even more. I only wish I had snagged the camo pair this summer-because they no longer exist! :( Happy Thursday! Love this post!!! You have to keep us posted if you decide to get those wedges!! Those booties are crazy. But in a darling Andrea kind of way! ;) And the natives are in my Friday post too! Carter only has red so I'm getting him the blue and black. They are his favorite shoes by far. Every little boy needs them! Love what your feet are wearing!!! I've been on the fence forever about some tom wedge booties...guess I should bite the bullet and purchase ! Happy Thursday!!! I totally love those wedge booties! So, so, so cute! And your Toms booties...they are so flippin' adorable! I am in LOVE with my Toms booties. I agree they are just perfect for skinny jeans and tights. I got a pair of booties that are a little higher, and I agree they're tough to wear. I want to get a black or burgundy Toms bootie next! The Toms booties are great! I love them. Also, you definitely need to get the black bootie. I had the taupe which I loved, but so happy that I got the black pair this year!!! I love those booties. So much personality! I have a question... Do you have a favorite sock for under booties? I wear my booties a lot and currently I'm just using some old white ankle socks I already had in my drawer. They're getting ragged and it's time for new socks. So what are the best bootie socks? Love those Tom's Wedge Booties. I need a pair. They seem perfect to wear with anything! I also love the Natives for my son. I absolutely LOVE my Toms booties!!! And all the other ones you featured are darling as well!!! However, my favorites are the cowboy boots!!! There is NOTHING better than a great pair of cowboy boots!!! Comfy as heck, too!!! I have two pairs that I can't get enough of!! Yours are so cute!! I'm loving my taupe wedge booties! Where are your fav jeans to cuff at the ankle from? I'm having a hard time finding a pair that will work for me. Love those boots with the knit in them! How is the support in the Tom wedges? I might have to pick up a pair when we are home in December! I love my Toms booties. I can't wait to wear them more this fall and winter. I always have problems finding the right sock to wear underneath it though. I definitely don't want it to show but then sometimes if they are too short, the shoe will rub my ankle bone. I never win! I still fight through the pain and wear them because they are so cute. You are definitely not crazy! 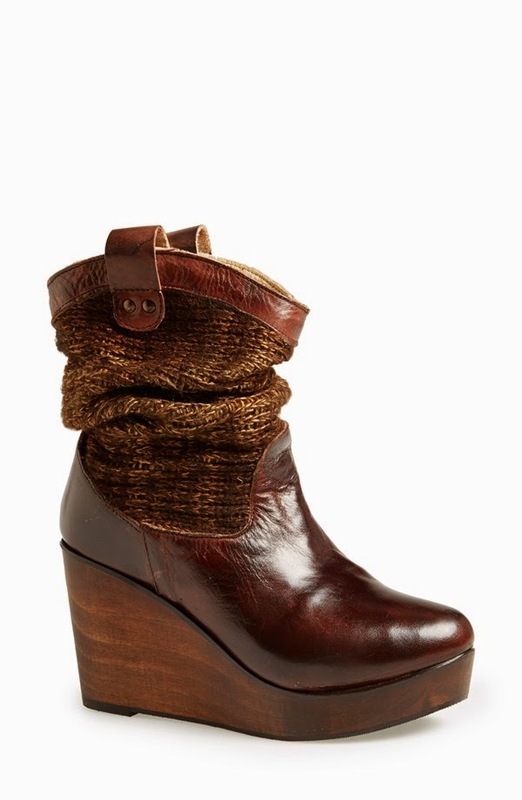 My favorite of your picks is that wedge boot with the knit detail. Would look so cute with a skirt and tights. 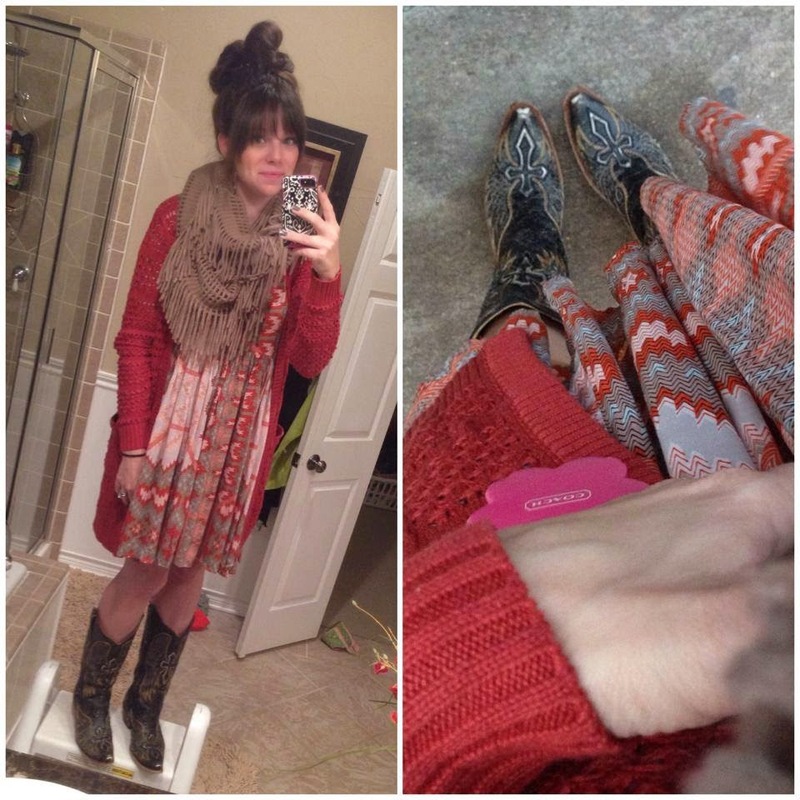 I am glad to hear that you had the same experience with the high wedge booties! I was so excited to get them and when I tried them on I felt like something just wasn't quite right. I thought maybe I was just too short for them.